Keeps Our Patients Coming Back. Dr. R Alan May, DDS is the community’s answer for exceptional dentistry. Dr. R. Alan May, DDS is pleased to be able to offer beautiful, healthy smiles to his neighbors in Roanoke and the surrounding communities. 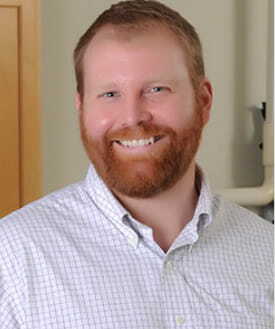 He has lived in the Roanoke area his entire life and was a Bittle Scholar at Roanoke College, where he received his bachelor's degree before attending Virginia Commonwealth University School of Dentistry to obtain his dental degree. He is very proud to be able to serve the community in which he grew up. Dr. May is committed to educating his patients about the role of dental care in achieving optimal oral health and providing them with gentle, thorough care. This commitment ensures the highest quality, now and in the future. Serving our patients, one smile at a time! We always give our patients individualized attention for the best dental care. This level of care and consideration provides a high quality of service. Dr. May takes the time to answer your questions so you can make informed decisions about your dental care. What does trust mean in terms of choosing a dentist? Dr. May is experienced and knowledgeable in evaluating your dental needs and providing appropriate treatment. As a dental professional, he chooses the most suitable materials and procedures to benefit the health and appearance of your smile. Safety in procedures and the sterilization of instruments after each use is our guarantee. Dr. May cares about your dental health as much as you do! We hope you'll join our dental family of friends! 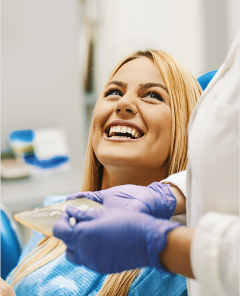 Our goal is to provide our patients with care that gives long-lasting benefits for your best dental health. Many of our patients with great oral health only need to be seen twice a year. Occasionally, a patient has to move out of the area, which means we always have room to welcome new patients into our practice! Dr. May is excited to meet you and discuss your dental needs! Contact our office today to schedule the first step toward your healthiest smile. Please fill out the information below, complete with the dental services you’re interested in. We’ll be in touch with you shortly! The contents of this webpage are Copyright © 2019 Dr R Alan May. All Rights Reserved.